Home | Alloys | Nickel Alloy 825? Nickel Alloy 825 is one of the best nickel-iron-chromium alloys that’s also made using molybdenum, copper, and titanium. It provides resistance to corrosion that’s almost unmatched, and that is why it’s become a top choice for manufacturers and those in relevant industries. The nickel content is enough to ensure resistance to chloride-ion stress-corrosion cracking and it also guarantees all applications remain as robust and corrosion-free as possible. The nickel in Alloy 825, as well as the molybdenum and copper, gives fantastic resistance to reducing environments. That can include those containing acids. The molybdenum stops resistance to pitting and crevice corrosion, and then the chromium confers resistance to a plethora of oxidising substances such as nitrates, nitric acid, oxidising salt, etc. It also offers multi-purpose mechanical properties for high temperatures. Where is Nickel Alloy 825 used? Alloy 825 is a nickel alloy that is easy to form and weld with next-level resistance to stress corrosion cracking. It’s a superior subsea performing alloy with great resistance to reducing and oxidizing acids. The properties of the alloy ensure perfect performance under adverse conditions at both low and high temperatures, and the metal will perform well up to and including 1000°C. That makes it one of the most flexible materials available today, and it helps to explain why so many manufacturers and service companies swear by it. The material is built to last and stand the test of time, regardless of the stress or erosion levels that would cause problems with alternative solutions. For thermal processing, power generation, or oil and gas piping, look no further. 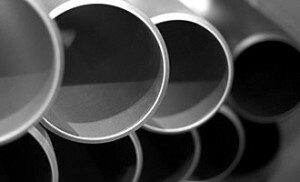 Special Piping Materials is at the forefront of the industry when it comes to supplying high-performance, high-quality, and long-lasting alloys to a broad variety of companies and industries. As an established and longstanding specialist, we provide clients with the most durable heat-resistant, corrosion-resistant, stainless steel alloys anywhere on the market today. Thousands of companies already use our metal alloys, and thousands more will when they understand all the benefits. If you think Alloy 825 could benefit your operation or help your company to save a fortune in repairs, get in touch with a member of our team today. You can also contact Special Piping Materials for advice for guidance related to the use of the alloy and its advantages. No job is too big, and no job is too small!